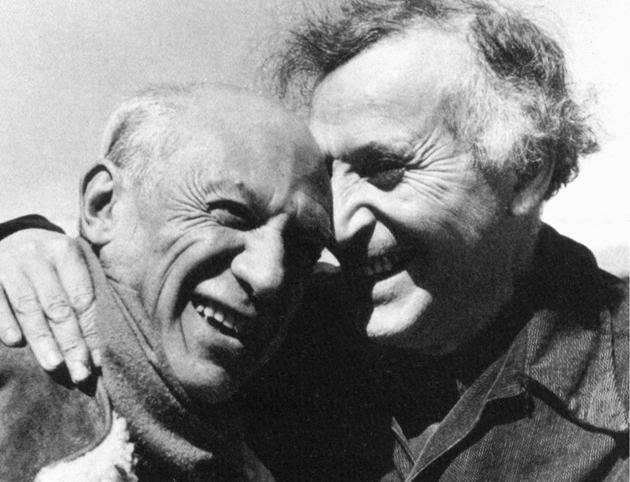 Today, artist Marc Chagall would have celebrated his 128th birthday. He spent 1910-1914 in Paris where he met his contemporaries Apollinaire, Delaunay, Leger, Modigliani and Lhote. In 1914, Chagall has his first solo show at Berlin's Galerie Der Sturm. In this year he returned to Russia where he was forced to remain at the outbreak of World War I. After the war he was appointed Fine Arts Commissar for his hometown of Vitebsk. After this, he went on to Berlin in 1922-23, and then on to Paris in 1923-40. He created the new ceiling painting for the Paris Opéra and, from 1957 a number of commissions for stained glass. One of Chagall's most celebrated series of works is the circus collection. His childhood in Russia meant that he saw a lot of the circus and so his fascination began. Whilst living in Paris, he attended the circus frequently. Here he would sketch the acrobats and performers whilst in the audience. 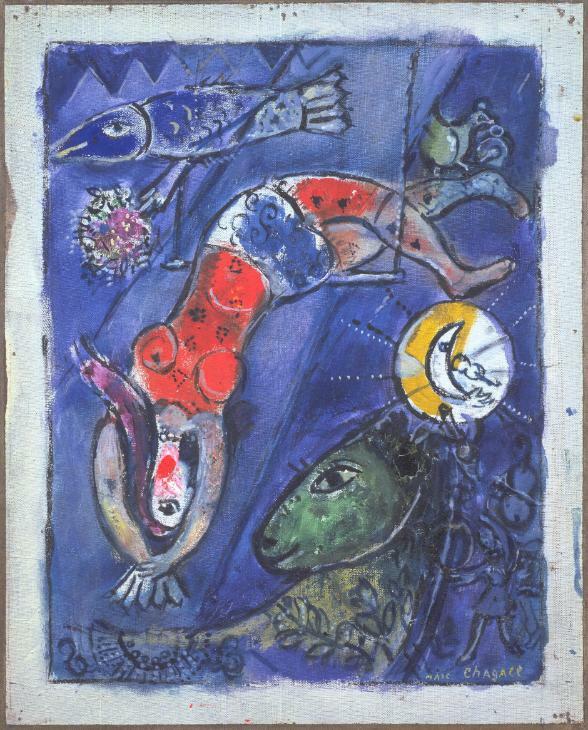 Chagall so beautifully captured the colors and magic of the circus in bright and an almost dream-like manner. 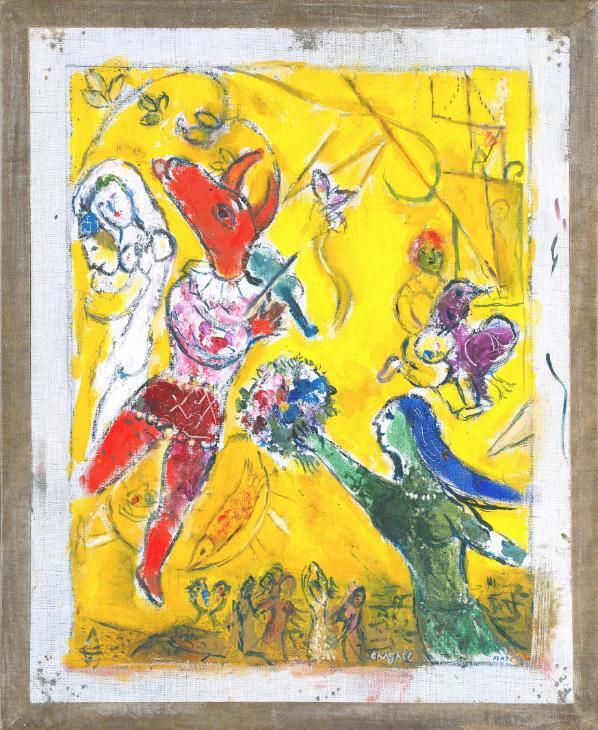 We're sure Chagall would have celebrated today with a trip to the big top!